As one clubs lives to fight another day, another faces a very uncertain future. After Darlington were rescued by someone with fifty grand in a bag, we now see another club, Northwich Victoria, in real trouble. Ironically, both clubs’ problems revolve around their respective stadiums. 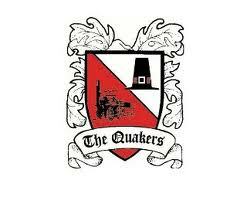 While The Quakers may have light at the end of their tunnel, Vics have had their ground sold from under their feet. On Wednesday, January 18th, Darlington’s administrators granted the club a stay of execution until the end of January after the money was found to stave off liquidation. However, the club’s future still hangs in the balance, and a lot of their troubles stem from the huge white elephant that is their stadium. Former chairman George Reynolds built the 25,000 capacity Northern Echo Arena in 2003, largely as a vanity project. The stadium has slowly been dragging the club down ever since, until things finally came to a head this week. There has been interest from a group of Yorkshire-based businessmen, who would like to buy the Neasham Road site, and develop it for properties. This is a huge factor in the future of the football club. However, they are not interested in owning the club. Currently, the stadium costs anywhere up to £80,000 a month to run, and unless the club move out of the stadium pronto, we are sure to see the club in this position again very soon. As for Northwich Victoria, their troubles are just beginning. Manager Andy Preece, along with his backroom team, upped sticks and left for pastures new at Airbus UK in the Welsh Premier League. On top of that, the club’s receivers sold their Victoria Stadium ground to a Chemical manufacturer, and served the club with an eviction notice, which was adhered to this past Thursday, January 19th. The club’s solicitors are taking legal advice regarding the situation, but as it stands, no more home matches can be played at the stadium, leaving the Vics effectively homeless. Thankfully, they are away from home this weekend, giving them a few days extra breathing space as they try to resolve the precarious situation they find themselves in. 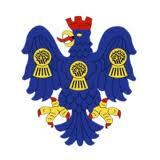 If they can’t fulfil their home fixtures, they will more than likely be expelled from the Northern Premier League. They are investigating any groundshare options in the meantime, and their fans face an anxious few days wait for developments. Hey, I'm James and I'm relatively new to non-league football, having only taken in my first match in September 2011. Despite it being a 0-4 defeat for Hampton & Richmond Borough, I became a huge fan of the club and NL in general. So much so that they are now the first club that I mention when talking about which team I support! I just got massively disillusioned with top flight football in this country and the attitudes of the lawmakers and top clubs in general, and I wanted to start taking my son to see decent football. I am now the club's Deputy Press Officer, and loving every minute! Posted on January 20, 2012, in UTL Archive and tagged Administration, Darlington, Northwich Victoria. Bookmark the permalink. Leave a comment.